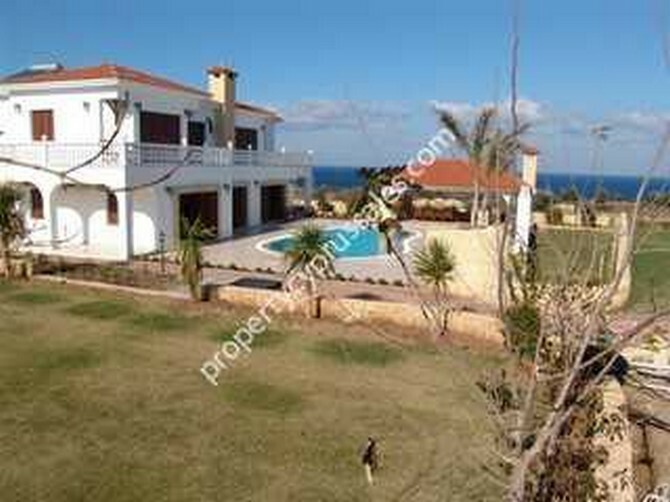 Custom made villa in Alagadi North Cyprus. 7 bedroom 5 bathroom villa sits on 6,000m2 private plot, comes with a tennis court, private beach access and caretakers quarters. The villa sits on a hiltop overlooking a little bay and affords exceptional privacy. This particular villa has been sold, however, there are several plots available in the following locations, where similar concepts will be built to our customers" requirements.